Hi, I am Anna. I first joined the TG group in January 2013 as an Erasmus student, while studying for a Master degree in Chemistry in the University of Pavia (Italy). After 6 months of research for my final project I had to go back to Italy to graduate under the supervision of Prof. Valeria Amendola, with a thesis on “Synthesis of Heterocycles assisted by Urea:Anion complexes”. I enjoyed so much my experience in the TG group that I decided to come back as a PhD student in April 2014. When I am not singing or dancing, I work on the development of urea-based anion receptors with the aim of making interlocked systems and self-assembled structures. Amy joined the group in September 2014, having completed her fourth year undergraduate project on Ru(II) naphthalamide-based complexes and their interaction with DNA in the group in 2013. She now works in the self-assembly area of the group, with her work focusing on the formation of gels, liquid crystals and coordination polymers based off the BTA motif. 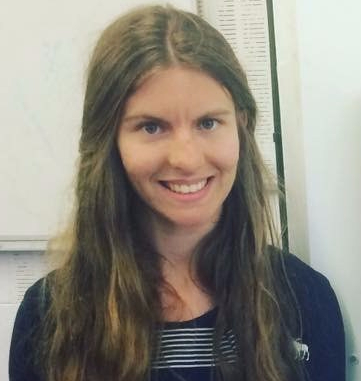 Elena first came to TCD as an Erasmus visiting student in 2013 after which she joined the group in September 2014. Her project is co-supervised with Prof. Eoin Scanlan and focuses on the synthesis, photophysical and biological evaluation of glycosylated naphthalimides. Their biological and photophysical changes upon enzymatic hydrolysis of the glycosyl motif are also being investigated with the aim of being developed as an enzyme probe. Glycosylated naphthalimides also present unusual self-assembly behaviours that are being studied. 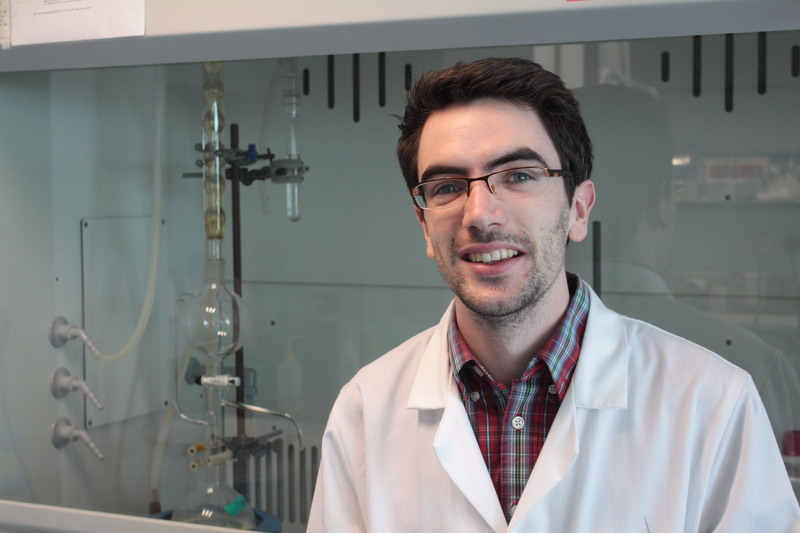 Dermot’s research is to develop anion-templated supramolecular structures such as catenanes. His work focuses mainly on urea-based molecules: As anion transporters this class of molecule holds promise for the treatment of diseases such as cystic fibrosis (CF) and various cancers. As anion sensing molecules they may provide easy detection of environmental pollutants such as phosphate, among other chemicals of interest. Sandra’s research concerns novel chemicals with biomaterial applications. In particular, she is focused on Ru(II) complexes and their promising anti-cancer properties. Building on previous work by the TG group, Sandra combines her background in synthesis with a variety of analytical techniques, including photophysical studies and cell work. 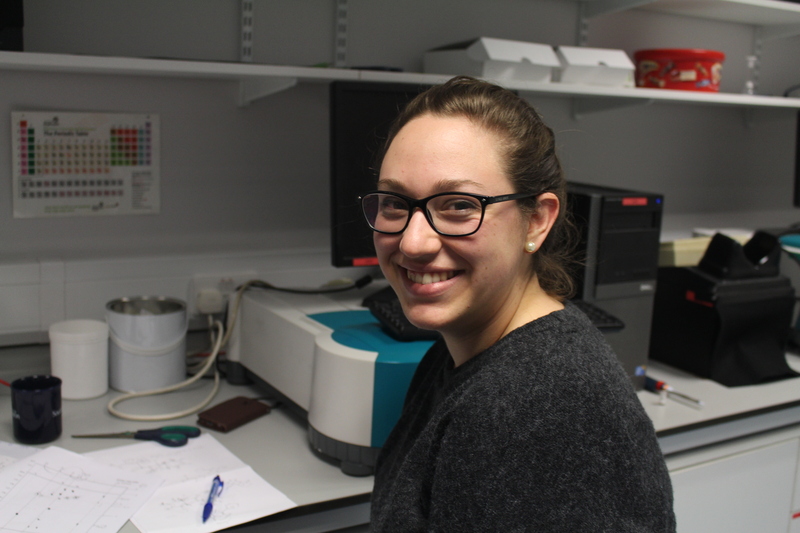 Hannah joined the group in September 2015 having completed her final year project on the synthesis and photophysical properties of quarternised Naphthalimide derived Tröger’s Bases. 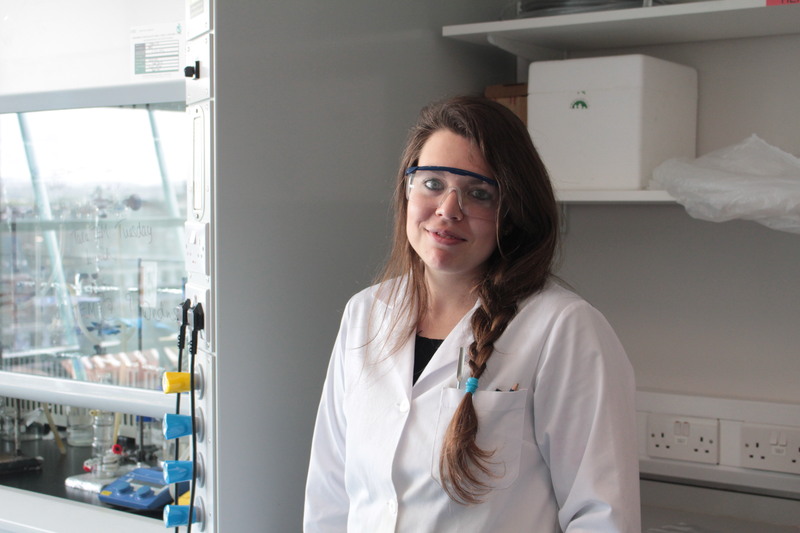 The research focus of her PhD is the coordination chemistry and supramolecular self-assembly of 6-carboxy- 4-aryl-2-2′-bipyridine, and its derivatives, with d-block and lanthanide metals. Isabel joined the group in October 2015. Her research, which is in collaboration with Alkermes Pharmaceutical, is focused on lanthanide directed self-assembly and coordination chemistry. She is interested in developing the [2,6-bis(1,2,3- triazol-4- yl)pyridine] (btp) binding motif for the metal templated formation of functional materials such as supramolecular gels. Master in Nanotechnology for drugs delivery systems. Bruno’s PhD research is concerned with the development of Langmuir Blodgett Films for biological application, towards incorportation of biologically active nanoparticles. Before starting in the TG Group he worked with Professor Purrello in porphyrin chemistry (for his master’s degree) and with Professor Sortino in photochemistry in the master’s diploma. Emanuele joins the TG group in October 2016 as a PhD Student after working with professors Marletta and Licciardello for his Bachelor and Master final projects at University of Catania and working as an intern at the “Innovation Lab” in STMicroelectronics site of Catania with doctors Petralia and Conoci. The focus of his work will be btp-motif supramolecular aggregates. Jason joins the TG group in October 2016 as a PhD Student after a one year ERASMUS in TCD in 2014-2015 for his 1st year of master and came back for a 6-month internship in the TG group in order to obtain his Master’s degree. June joined the TG group in September 2017 as a PhD student having completed her six-month research placement in the group in 2016. She is interested in developing the naphthalimide and [2,6-bis(1,2,3-triazol-4-yl)pyridine] (btp) motfs for the metal-templated formation of functional materials, such as supramolecular gels.